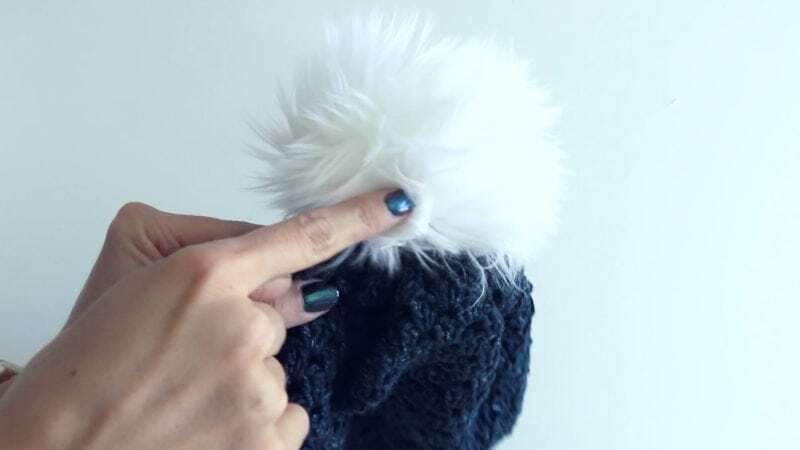 How to Make a Faux Fur Pom Pom DIY - Easy and Fast! 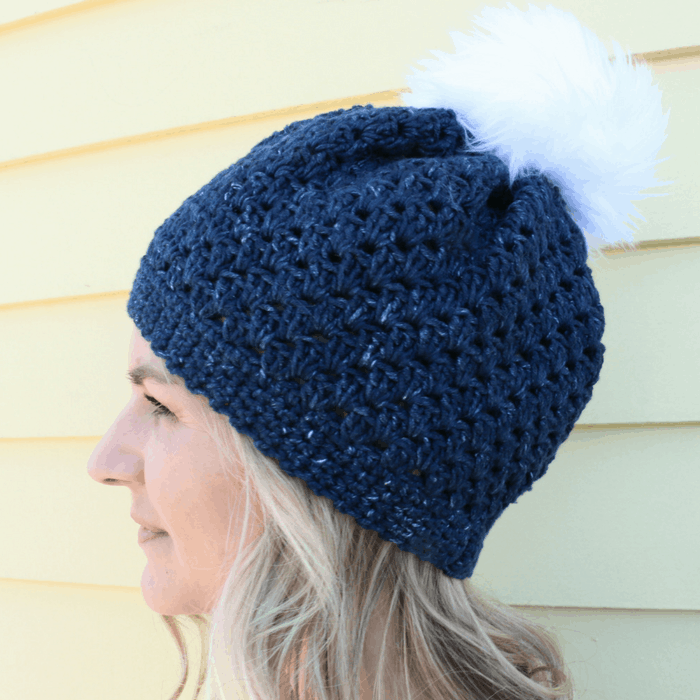 On my recent crochet beanie video, one of the hats featured this faux fur pom pom diy – so today I’m excited to share with you how to make one! No need to buy it, they are really easy to make. Take circle shape and trace on the back of the faux fur. I used a 7 inch place, which created a large pom pom so you can go as large as that or smaller as needed. Thread your needle and do a running stitch around the outside of the circle with fairly big stitches. Make sure to leave a 6-7 inch tail where you began. Once you go all the way around, cinch up the circle as best as you can. Try not to break your thread. 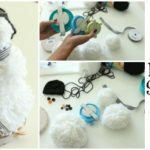 Insert polyfil stuffing or scraps of fabric/yarn to fill pom pom. Sew the opening closed with your needle and thread. Attach to hat with long pearl cotton tails and weave in the ends to secure them. What do you think? 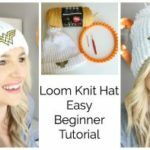 Here is the crochet hat pattern if you would like to add it to the hat! Or here is a zip pouch that would look might cute with a faux fur pom pom hanging from it! These pom poms are the cutest! They look amazing on your hat! Thanks for a fun DIY tutorial!